Last week’s publication of the first bits of information from the leaked treasure trove of “Panama Papers” documents has, as widely expected, already been shown to include connections to the international gambling world. The massive leak of 11.5 million documents from the files of secretive Panama legal firm Mossack Fonseca [Mossfon] has already caused global political reverberations, with hundreds of politically powerful figures already linked to shadow companies created and supervised through Mossack Fonseca’s architecture. 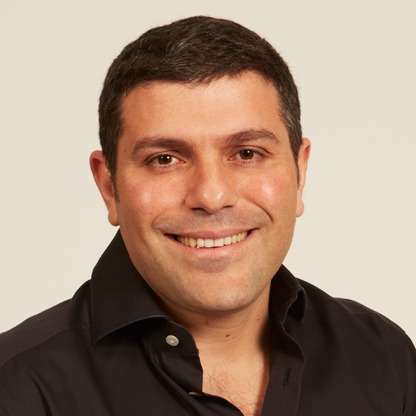 Playtech founder Teddy Sagi (pictured) and embattled Amaya CEO David Baazov are the first gambling-world figures linked to the global ‘Panama Papers’ link. More will follow. Though there are a few legitimate reasons for creating such shell companies, whose general purpose is to disguise real ownership, the predominant reasons for creating such entities have always been to enable tax evasion and money laundering. That’s why being connected to the Mossfon apparatus is a big deal for anyone so named, as tax agencies across the globe are likely to be interested in who’s shielding what. The first well-known gambling world figure to be identified in connection with the Mossack Fonseca leaks was Teddy Sagi, the billionaire founder of Playtech. Sagi, an Israeli national who now lives in London, has been tied to at least 16 different companies created by Mossack Fonseca over the course of several years, through an intermediary Israeli bank, Bank Leumi. The majority of the 16 businesses linked to Sagi appear to be connected to real-estate holdings, though as with most Mossfon creations, the complete purpose is never quite clear. For Sagi’s part, his associates issued a statement to Israel-based Haaretz, which broke the news of several prominent Israelis linked to the Panama Papers. The statement given to Haaretz asserted that Sagi did not establish the companies, but purchased them. Well, yeah, establishing the companies is the service that Bank Leumi and Mossack Fonseca provide, so that’s a carefully-parsed statement. Sagi’s companies had boards of directors noinally occupied by executive of Bank Leumi and/or Mossack Fonseca, which is the one of the upscale services provided with the creation of such companies. The news about Sagi’s Panama Papers connections also helped drag old skeletons out of Sagi’s closet. Before his recent and massive success with Playtech, Sagi ran afoul of market regulators after attempting some blatant stock manipulation. In 1996, Sagi was sentenced to nine months in prison after pleading guilty to charges of bribery, securities fraud, and aggravated fraud in connection with the scheme. You won’t find any mention of that episode on Sagi’s highly-sanitized Wiki page, though the episode has caused Sagi continuing problems with regulators in certain financial-market ventures. Also named as being connected in some form to the Panama Papers is Amaya Gaming CEO David Baazov, which is certain to add another layer to the cloud of controversy surrounding the embattled Amaya chief. Yesterday, Bodog/Bovada mouthpiece site CalvinAyre.com broke the news of the purported connection between Baazov and a now-defunct company called Zapha Holdings, Inc. Zapha listed among its shareholders Goulissa Baazov, sister of David and Josh Ofer Baazov, another prominent figure in Amaya’s ongoing insider-trading scandal. (The use of close family relatives and friends as company figureheads is a common theme with many of the Mossack Fonseca-linked companies.) Another listed Zapha shareholder was a Stephen Sebag, whom CalvinAyre inferred might possibly be related to Amaya CFO Daniel Sebag, although a bit of digging suggests that this person may not in fact be related or connected to Amaya’s CFO. While there’s not much reason to doubt the CalvinAyre.com story, it’s also not quite clear where they obtained the data. The 11.5 million documents in the recent Panama Papers leak given first to Germany’s Süddeutsche Zeitung have not been publicly released, even though they’ve been widely disseminated to select media and government entities. The Amaya information may have come from there, or it may have come from an earlier, much smaller link of Mossack Fonseca data that occurred in 2013. What remains to be seen is how much of the “gray market,” US-facing part of the older international online-gambling business will eventually be linked to the Panama Papers and the hundreds of thousands of shadow companies created by the firm. Poker- and gambling-related companies (and individual owners thereof) of firms such as Absolute Poker, UltimateBet, and even the original Full Tilt Poker have been shown to have made frequent use of blind trusts and anonymous corporations in their dealings. In the case of Absolute Poker, for instance, frat-boy founders Hilt Tatum and Scott Tom are known to have moved some funds into Panamanian real estate, and AP at one point even set up a duplicate processing operation in Panama, as a failsafe against the possible loss of the site’s Costa Rica operations. However, when Black Friday happened, everything collapsed at once, including Costa Rica, leaving not enough left to make a move to Panama worthwhile … even though the option was, allegedly, under consideration, under a new site and company name. Over at UltimateBet, by comparison, the site’s primary owners were urged to incorporate blind offshore trusts in the wake of the 2006 passage of the US’s UIGEA. Most owners did so, and a few of them incorporated in the British Virgin Isles, which was also the domicile of choice for Mossack Fonseca. 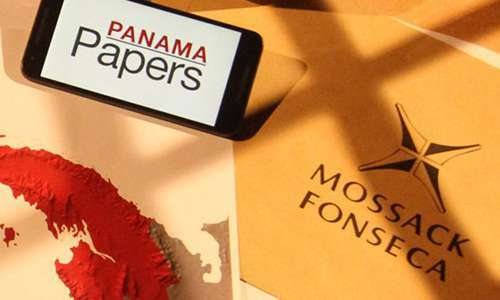 Since Mossfon was not the only legal firm in the business of creating these shadowy tax-haven entities, companies such as AP and UB might or might not eventually be linked to the Panama Papers over time, as more documents are examined and released. It’s in the realm of possibility, but just that, a possibility. It’s rather more of a surety that more gambling names and companies will be linked to the Panama Papers files. In its first few days of pseudo-public release, the attention has been given to world political leaders and the occasional sports star (Lionel Messi) or celebrity (Jackie Chan) who made use of Mossack Fonseca’s services. There’s plenty more to come. The information being referred to in recent media reports as tying Amaya or its executives to the recent release of the so-called “Panama Papers” is inaccurate. The documents referred to in the media have in fact been publicly available for years. To our knowledge there is no “new” information and none of the information is directly related to David Baazov or Amaya. Moreover, reference to individuals with the same last name as CFO Daniel Sebag provide a false impression. He is not related to nor associated with either of these individuals. Additionally, information referring to Amaya participating in online gaming in the United States after UIGEA is wrong; Amaya entered online gaming in 2011 following its acquisition of B2B casino games developer Chartwell, which did not supply US-facing operators.